In 1959 Volkswagen was at a turning point: in the previous year it sold 150,000 Beetles in the USA, dangerously approaching the maximum result obtainable through the word-of-mouth among customers. 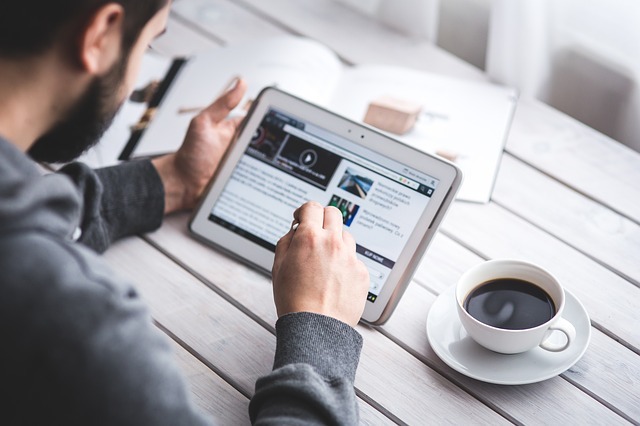 To avoid the stagnating sales the choice is only one: to develop an advertising campaign. The DDB won the selection among 400 advertisers,until then the DDB had advertised department stores, (Israeli) airlines, rye bread (with Buster Keaton, the comic who never laughed). The commissioned work was really challenging: selling a German car (a few years after the end of the war and in the reign of the Cadillac, the Lincoln, the Buick), small, ugly and designed on order by Adolf Hitler. The first success coincides with the first slogan: “Think small” originated in 1959 is considered by many insiders the advertisement of the century. Among the admirers there is also Steve Jobs, who almost thirty years later will launch “Think different”, choosing among the main characters of the advertising billboards Apple Bill Bernach, one of the founders of DDB (the “B” stands for Bernach). 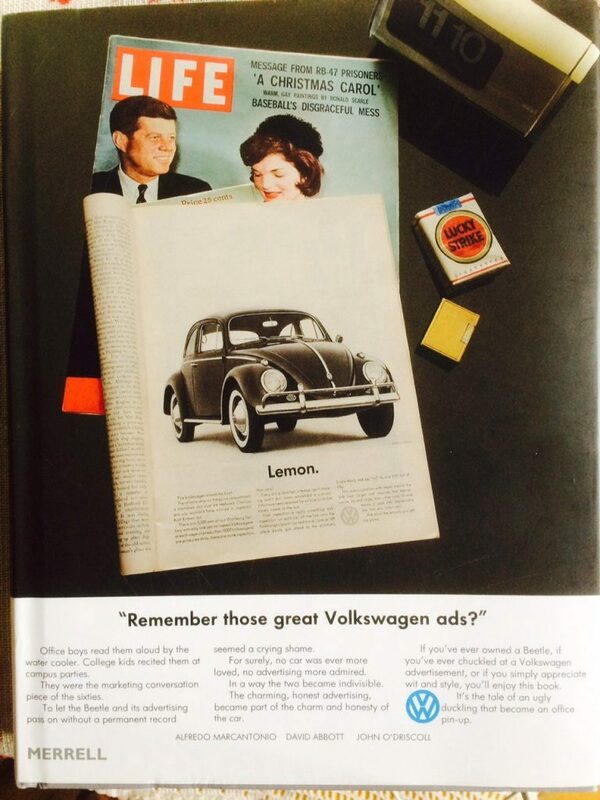 The following year it was the turn of “Lemon”: the Beetle – explains the advertisement – missed the ship because the chrome on the glove compartment must be replaced. “It’s a bin that will never get into the hands of an American driver because it’s locked by Kurt Kroner, one of 3,389 quality control employees working in Wolfsburg. They are more than the cars daily produced”. Even if today this message is no longer relevant (in the era of total quality, messages highlight the prevention: no mistakes are made because cars are very well built from the design phase), in 1960 it was instead revolutionary. 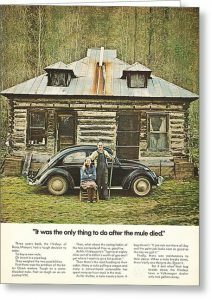 With the following advertisements all the rules were broken: they say nice things about competitors, the Beetle is described as a beast of burden, they chose testimonials really ugly and they don’t show the car in the spot. 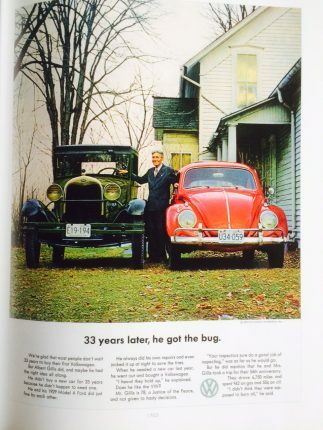 In the “33 years later, he got the bug” advertising, Volkswagen implicitly speaks well of a specific competitor, it shows through a little bit that the nice grandfather, very satisfied with the 33 years of honorable service of his Ford, was forced to choose a German product only because in the meantime the Model T was out of production. 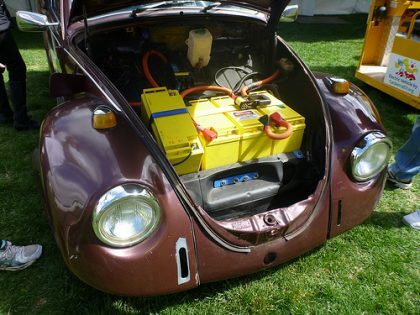 What’s more, the old man is surprised that the Beetle consumes more oil than expected. If Ford and GM show their potential customers in smoking in front of a theatre or the stables, Volkswagen chooses farmer (far from wealthy considering their house condition) with a pitchfork. In “It was the only thing to do after the mule die” adversiting the Beetle was bought and used by the farmer to replace the ultimate beast of burden. No attempt to mimic the thoroughbreds of the competitors. When Volkswagen decides to switch from unknown testimonials to celebrities, it does so in its own way, hiring one of the ugliest actors of all time. The ad “If he can make it, so can Volkswagen” speaks directly to Martin Feldman, the immortal Igor in “Frankenstein Junior”. After having reminded him (or confirmed?) that “no offense but no one could confuse him for Gregory Peck“, it establishes sympathy between similar: Volkswagen builds “a car that looks like him”. 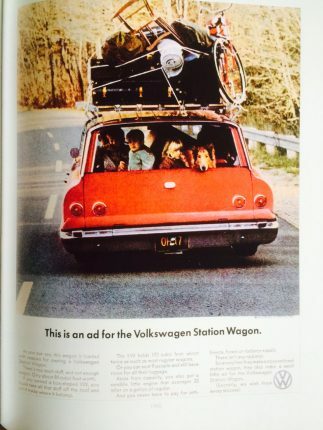 Ads speak also about the minibus (which in the USA was called Volkswagen station wagon). “This is an ad for the Volkswagen station wagon” takes great advantage from the competitors: “As you can see, this car is full of reasons to own a Volkswagen station wagon”. The text explains that with the minibus will be place everything where it should really stay. The picture shows children with bewildered eyes and bicycles in precarious balance. To those who complain about the unchanging forms of the Beetle VW answered with “The famous Italian designer suggested one change”, which resumes a fact that really happened: Pininfarina (a name that doesn’t need any presentations) only suggested to enlarge the back window (“make the rear window bigger”, “that’s all?”, “That’s all”). The counterattack of the battleships of Detroit was immediate: GM, Ford, Chrysler spent millions of dollars into advertising and promotions. In 1962, sales of non-American cars decrease to 339,160 (614,131 in 1960). The Beetle wasn’t even touched: in 1962 200,000 vehicles are sold. Sales are growing year by year and in 1970 Volkswagen can finally celebrate itself with the “In 1949 we sold 2 Volkswagen in the USA”, “In 1969 we made a little better. There are three and a half million of old Volkswagens that run away in the old United States”. Not bad at all. Even if the book (in large format and with many color photos) is completely in English it is worth buying it even only to enjoy the photos. Perhaps one of the few cases in which a book can be judged by the cover. Title Remember those great Volkswagen ads? 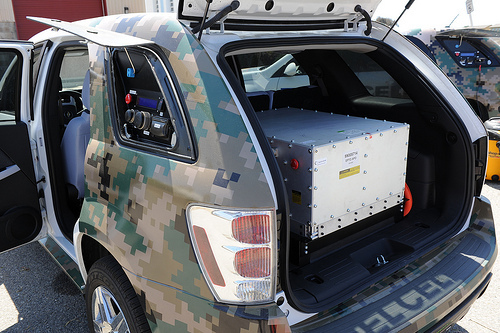 The seventh post of this my examination about the motorisation proposed by the OEMs; the hydrogen empowered cars. The sixth post of this my examination about the motorisation proposed by the OEMs; the Electric car.